Tickets are now on sale for Wide Open Theatrical Escapades' second show of the 2010-2011 season, A Prairie Life. 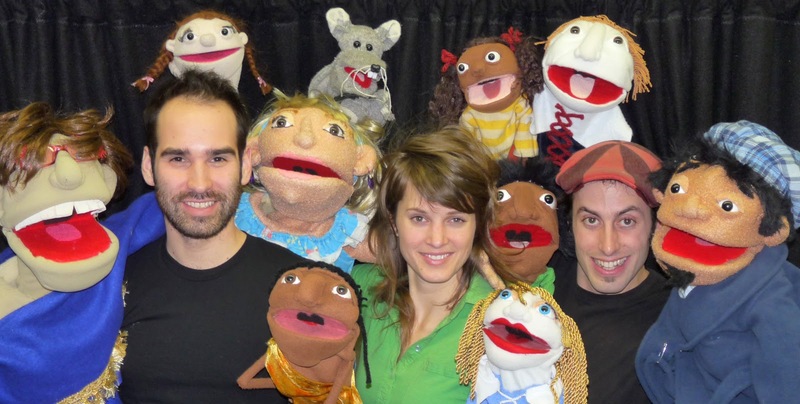 The puppet show is based on the bestselling books by Saskatchewan author Jo Bannatyne-Cugnet and illustrator Yvette Moore, A Prairie Year, Heartland: A Prairie Sampler and A Prairie Alphabet. Half-hour and one-hour performances are available and open to all ages. Each feature puppets of all sizes, comedy and live music that bring these wonderful depictions of prairie life "off the page and to the stage" in a unique way. Tickets are free for children two and under. Ages 3 to 12 are $6.67 for the half-hour shows and $8.57 for the hour-long productions. Adult admission is $8.57 for half-hour and $10.48 for hour-long shows. GST will be added to all sales. Wide Open is offering one lucky saskmom.com follower a pass for a family of four to see A Prairie Life on the date of their choice. You may enter this draw twice. One way to enter is to share your favourite children's book below. Earn a second entry by becoming a fan of Wide Open on Facebook and adding that as a separate entry below. Please include your first name on all entries. This give-away will close at noon on Friday, February 18. At that time, a winning entry will be selected through Random.org. This give-away is open to Saskatoon-area residents only. Click on the link below to enter. I was just told that tickets will still be available at the door for this weekend's shows.